With blizzards, cold fronts and low temperatures blanketing much of the country, spring and its promise of warm days and flowers poking up through the ground seems far, far away. 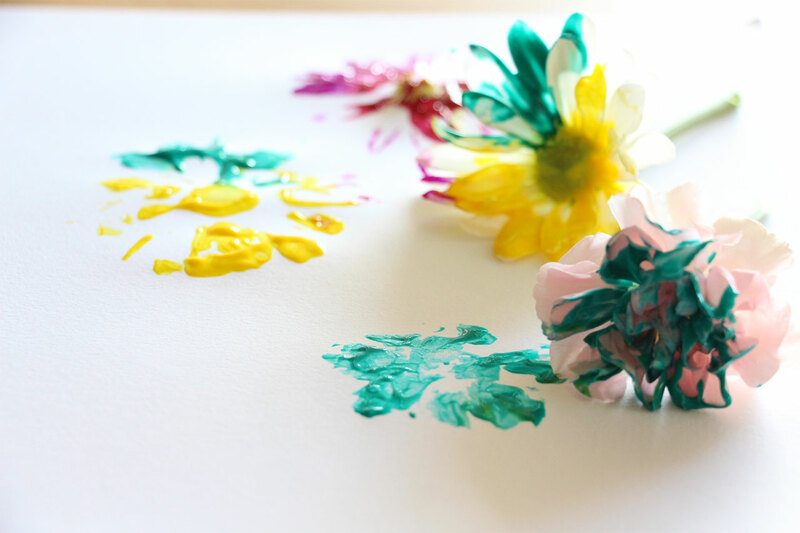 But with a simple art project, you can magically create spring inside, no matter how cold it is outside! Read on for a fun painting project and art history extension. This project can get messy, so cover your work area with newspaper, butcher paper, or a disposable table cloth. 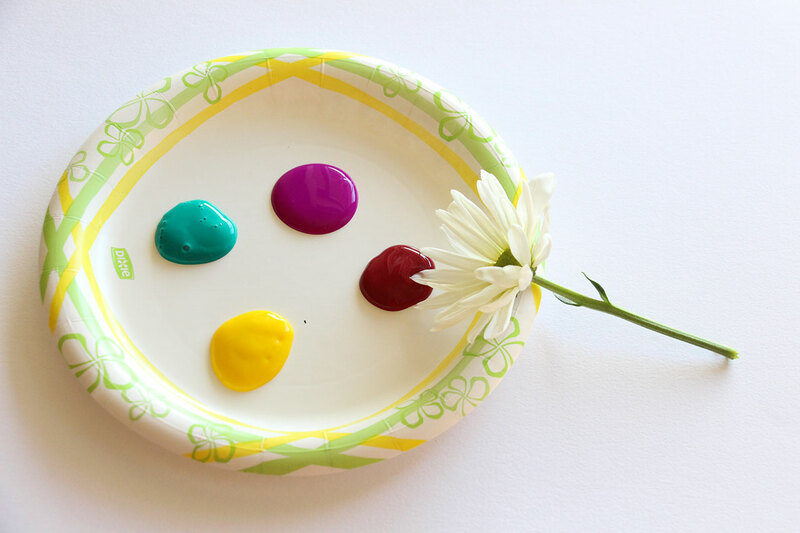 Squeeze blobs of paint onto the paper plate, leaving plenty of room to press the flowers down into the paint. Now it’s time for flower painting fun! You are essentially replacing your paint brush with a fresh flower, so dip the flower into the paint, then gently press onto your paper. 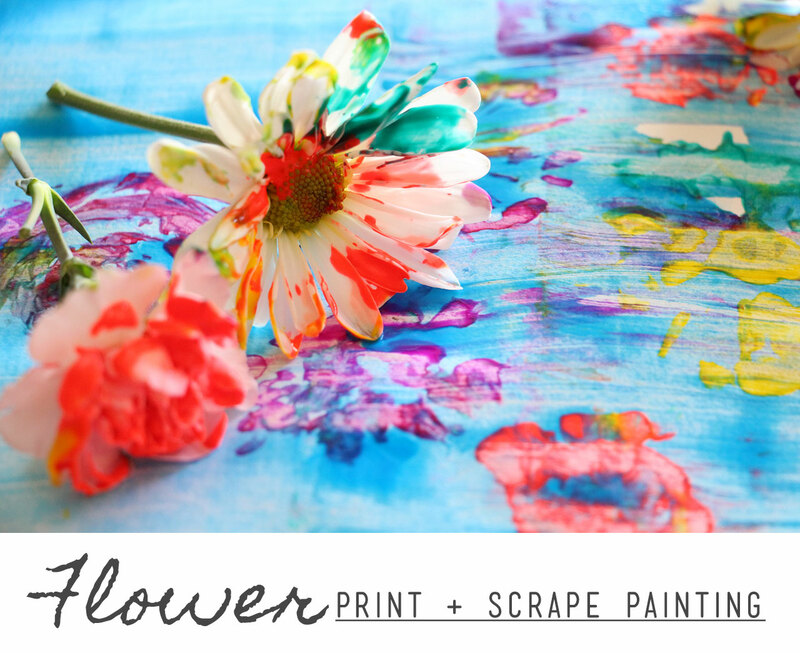 Experiment with mixing paint colors and using differently shaped flowers as you cover your paper with flower prints. 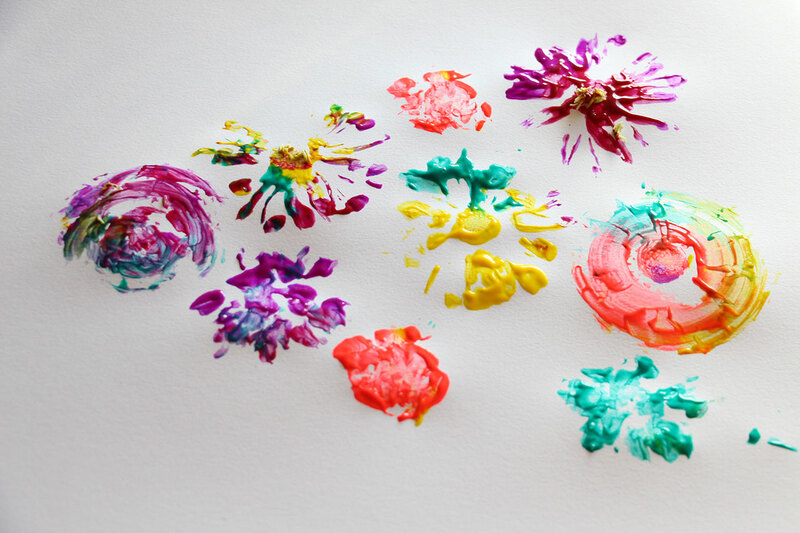 Don’t worry if petals or other parts of the flowers get stuck in the paint—that just adds fabulous texture! 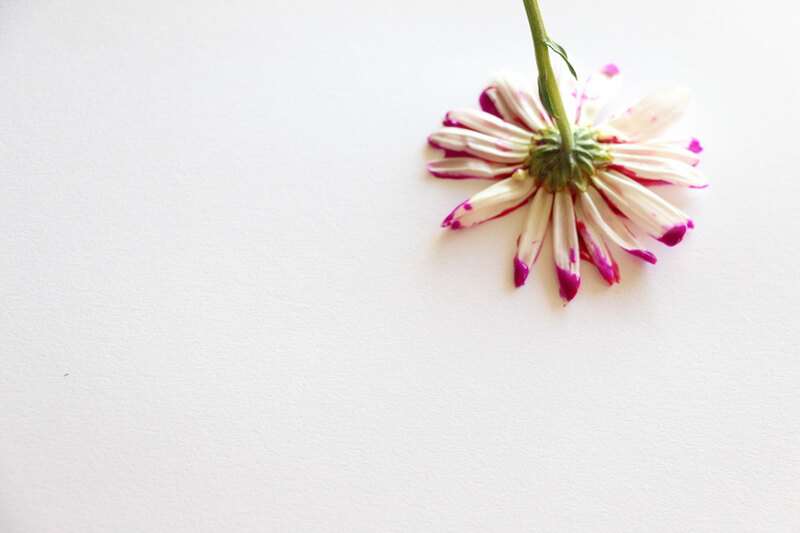 Show your child how to twirl the flower back and forth in a circular motion to create a different type of mark. 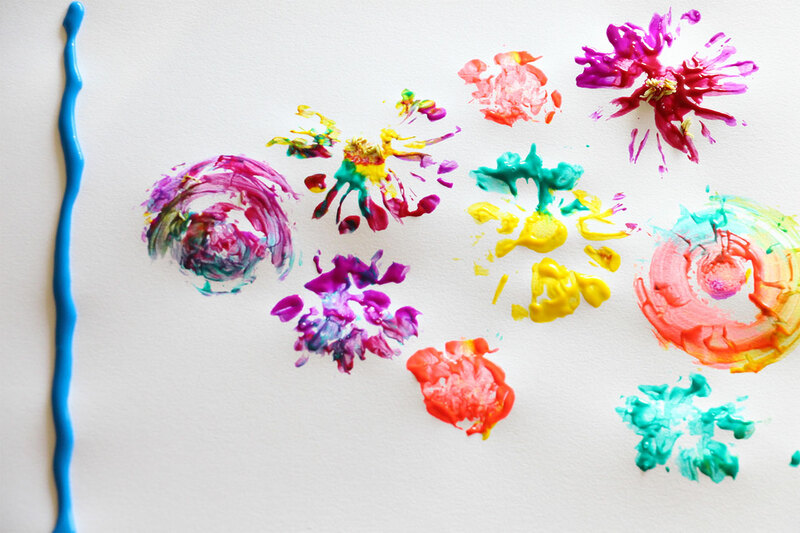 Younger children may also enjoy brushing the flower across the page just like they would with a paint brush. Once your masterpiece is complete, set aside to dry. Extend the painting fun and enjoy an easy teachable moment by introducing your child to the Impressionist paintings of Claude Monet. Towards the end of his life, Monet focused almost entirely on painting the water lilies in his garden pond, creating paintings that make the viewer feel as if he or she is gazing down into the water. Read a picture book about the artist to learn more about his life and work. Some of my favorites include: Philippe in Monet’s Garden by Lisa Jobe Carmack, Where is the Frog? : A Children’s Book Inspired by Claude Monet by Geraldine Elschner, Katie and the Waterlily Pond by James Mayhew and The Magical Garden of Claude Monet by Laurence Anholt. 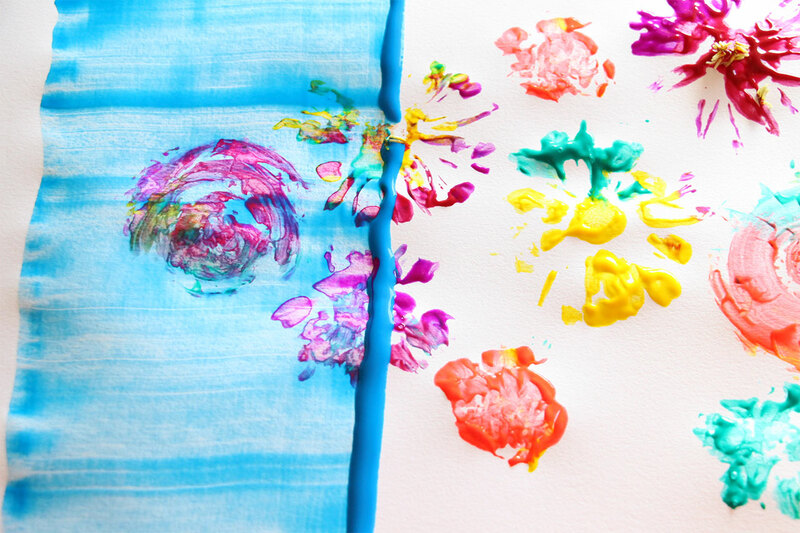 To transform your flower painting into a Monet-inspired work, you only need some blue paint and a ruler. Squeeze a line of blue paint along the far left edge of your painting. (Left-handed children might find it easier to manipulate the ruler if the paint is squeezed on the right edge of the painting). Use the ruler as a scraper, and drag the blue paint across the paper. If needed, add additional lines of paint in the middle of your artwork so that you can completely cover the paper with blue paint. I love the effect the scraper makes, smearing the flowers and creating a beautiful impression of rippling water—just like Monet! 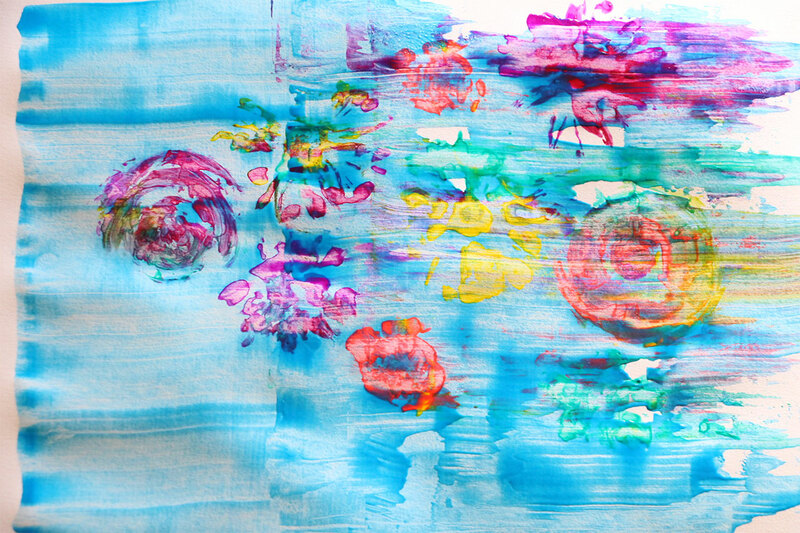 Experiment with how wet or dry your flower prints are before scraping paint across them (in the above painting, my flowers were not that dry at all, and you can see in the upper right how much of the flower smeared). For more Monet-inspired art-making ideas, take a look at this Pinterest board with suggestions suitable for toddlers to teens! 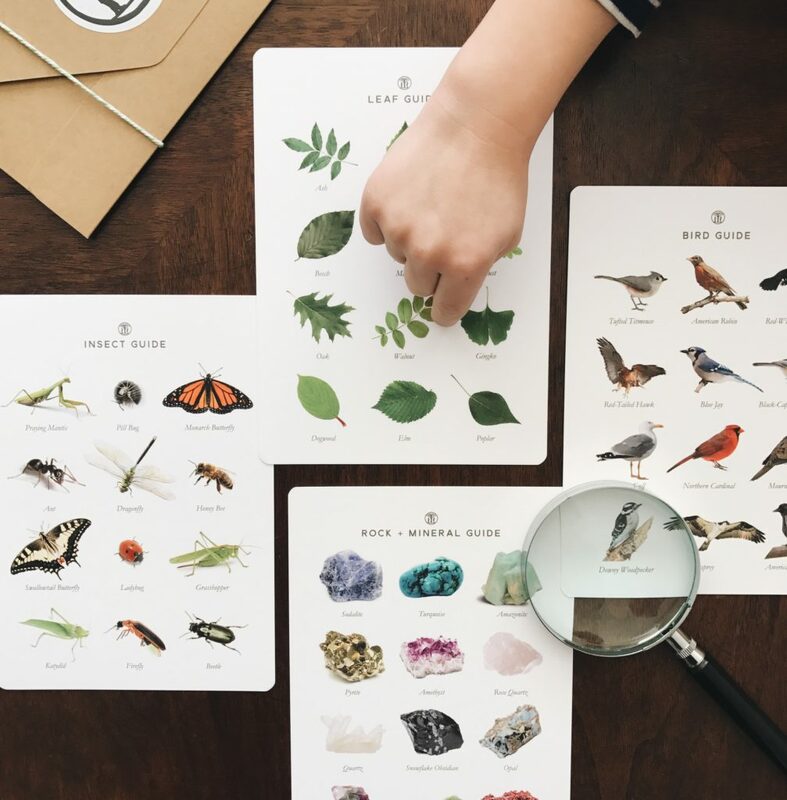 Or, if you’re ready to hang up your artist’s smock, channel your inner scientist and use any leftover flowers for this fun Dissecting Flowers lesson.